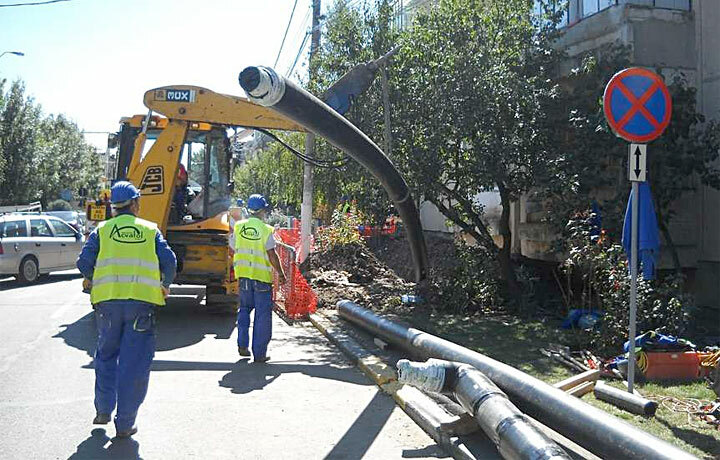 The successful renovation of the DHC network for the Otopeni project constructed by contractor Veolia (former Dalkia) was realized in 2013, securing reliable, and affordable heating for the Otopeni community in Romania, near Bucharest. 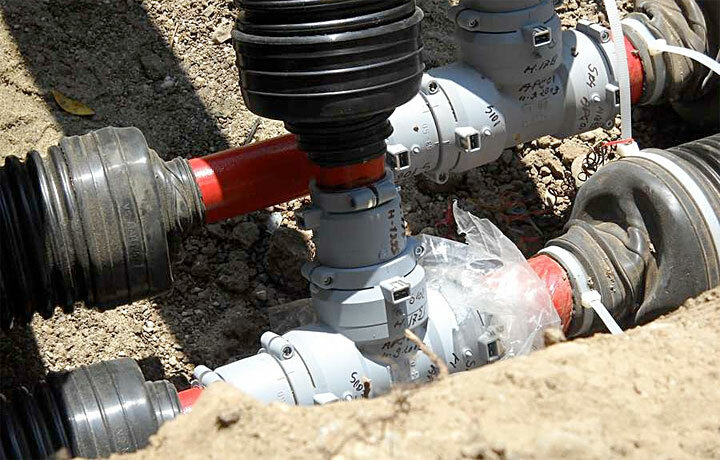 The flexibility of the Polybutene-1 material (also called Polybutylene and PB-1), the ease and speed of the PB-1 piping system installation through easy welding and smart use of existing infrastructure avoided interference with other networks, such as the pipelines for gas, drinkwater, sewage, and cables. 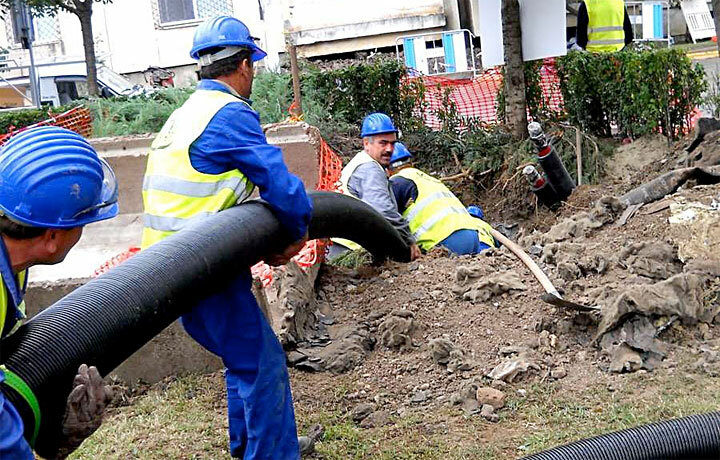 As energy in Romania is a very price-sensitive market and District Heating (DH) is in direct competition with individual forms of heating systems, mainly inefficient gas boilers, the efficiency of the DH networks is of high importance. Disconnection rates have shown a significant rise a decade ago as the natural gas price was set at a low level, making the already degraded network even less efficient due to over dimensioning. Unlike other EU member states, Romania has no tax on CO2, thus the market balance is heavily distorted to the disadvantage of district heating. However, with the natural gas price increasing over recent years, as well as the awareness to more sustainable energy economies, centralized networks are becoming of greater importance, and the Otopeni project surely is a milestone in working towards this. Existing concrete ducts that were created in the 80’s were used to slide Thermaflex/Flexalen sections made from Polybutene-1 through the narrow available space. 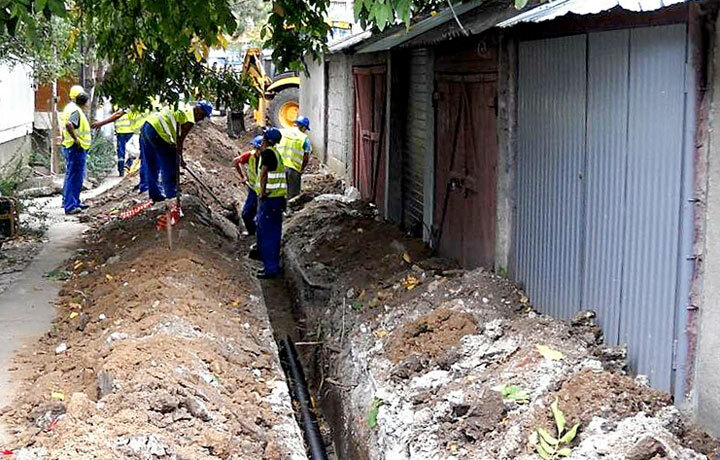 As Flexalen uses pre-calculated electrofusion welding for the PB-1 connections, that could be done outside the trenches, the installation was swift and easy with no need to install direction changing fittings. This avoided breaking roads or even disturbing traffic, unlike pre-insulated steel applications, which require extra holes for welding and positioning procedures. Naturally, the shortest path was always chosen between interconnection points, saving significant cost and space. 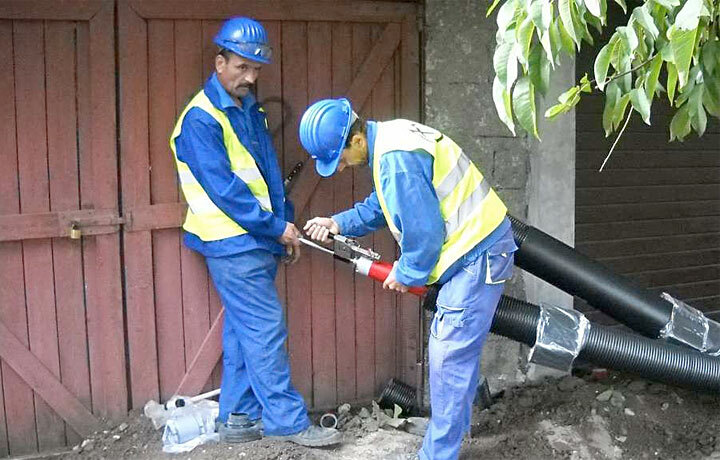 Interconnection of heating stations and rehabilitation of existing heating networks at a minimum of human capital and time cost was focused at a maximum efficiency of heat distribution.